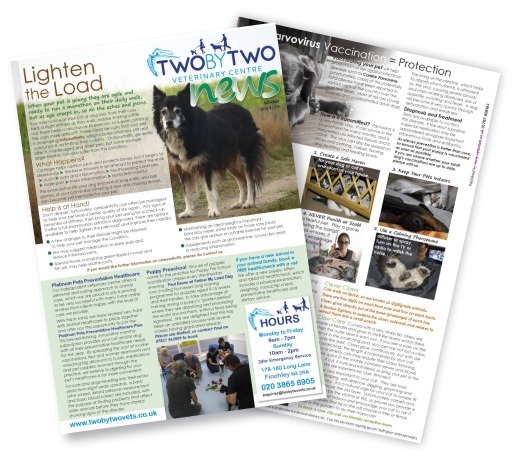 Welcome to the winter 2018 edition of the quarterly Two By Two Veterinary Centre practice newsletter. In this edition, we introduce our Platinum Pets preventative healthcare plan and Puppy Preschool. There are also informative articles about pet mobility as they get older, cat claw care and fireworks tips for pet owners.